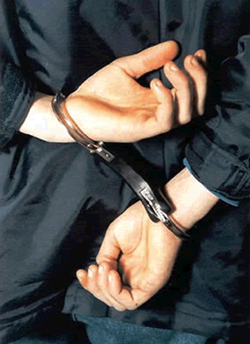 If your loved one has been arrested, contacting our Morgan County bail bonds company can help get them out fast. Having a loved one be arrested is stressful enough without the added stress of worrying about loss of employment or your home because you are unable to tend to your responsibilities. As soon as your loved one is arrested, call one of our Morgan County bail bondsmen at (706) 823-1111 or visit our office at 3435 Peach Orchard Road, Augusta, GA 30906 and we’ll start working on getting them released right away. You can count on the team at Anytime Bail Bonding, Inc. When you choose us, the bail bonds process in Morgan County will never be overwhelming. Your Morgan County bail bondsman will be happy to answer any questions you have and walk you through every step of the process. Don’t have your loved one spend a moment longer in jail than they need to. Call our Morgan County bail bonds team and we’ll have them released as quickly as possible so your life can get back to normal. Once we have this and the bail fee, we start on getting your loved one released right away. Our team is always standing by to assist you. When you need a Morgan County bail bondsman that you can trust and rely on we should be your first call. Our bail bondsmen will treat you like our only client and make sure that you understand everything that is required for posting bail in Morgan County. We know that this is likely a stressful time for you, but with our help, it doesn’t have to be for long. Call us today at (706) 823-1111 and we’ll be happy to answer all of your questions or get working on your case right away.